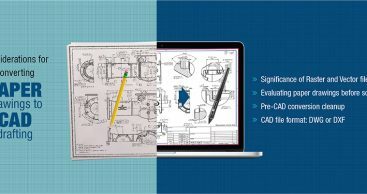 We are a leading mechanical drafting design services provider company in India and deliver accurate mechanical CAD drafting services using SolidWorks to improve product design development processes. We help our clients in converting their conceptual ideas to standard and precise 3D CAD manufacturing drawings for actual production. Our CAD professionals provide SolidWorks 2D/3D CAD drawings for assembly, sheet metal, machining and casting requirements. We have wide experience in delivering SolidWorks 2D drafting services and CAD Conversion services using AutoCAD for sheet metal parts/fabrication, tool design, aluminum sheeting and other metal products to automotive OEMs and ancillaries, furniture manufacturers and industrial equipment manufacturers. 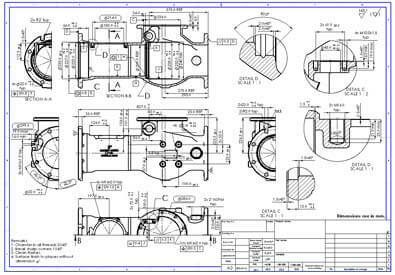 Our mechanical CAD drafting services are extended for industrial equipment such as pressure vessels, plant layouts, jigs and fixtures and mechanical components. We deliver CAD drafting services for Building Metal Products like steel framing, metal doors, frames & windows, roofing, siding, prefabricated metal building components, metal furniture design, construction equipment, heavy machines, Plant Design etc. 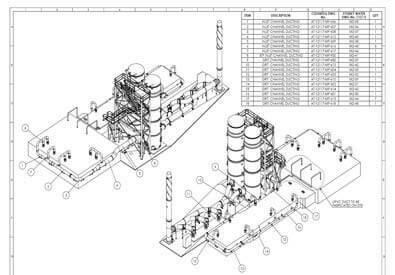 With flexible business models, we deliver design information with required standards in form of 2D detailed manufacturing and fabrication drawings to meet shop floor requirements.